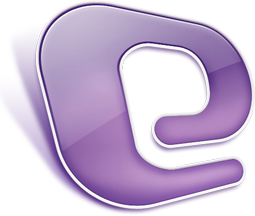 Microsoft Entourage (introduced 2000, discontinued 2010) is Microsoft’s email client and is included in its Office for Mac software suite. Despite being “out of print” for three years this month, it’s still the go-to email program of many Mac users. Although it’s a superior product to Apple’s Mail application, using Entourage has a number of issues that give users trouble, although they’re not all deal breakers. The biggest problem is that the program is unusable while the database rebuilds, and the larger the database file, the longer the rebuild process takes. A rebuild that lasts eight hours is not unusual. And although the Microsoft’s software people did a great job, the success rate for rebuilds are around 80%. To learn how to rebuild your Entourage database, click here. For the 20% of failed rebuilds, there is hope: sometimes third-party products such as EntourAid can save the day, but generally there are no guarantees. • Entourage requires a separate address book: Apple got one thing right – its address book (named Contacts) is used for multiple Apple applications, including Mail, Messages (formerly iChat), FaceTime and of course it serves as the “address book” for iPhones and iPads. Not the case with Microsoft. Entourage requires its own proprietary contact list. There are options for syncing the two – but the two parties don’t always play nicely, and the results often include duplicated entries or cards with the fields not mapped properly. On the bright side, the address book in Entourage is far superior to Apple’s Contacts. • Entourage has an expiration date: If history serves as an indicator, in the not-too-distant future, Microsoft will discontinue support for it, or more likely before that happens, it will not be compatible with a future Mac OS upgrade. Once this happens, you have a few choices: Stick with Microsoft (and all the issues that dog Entourage) by upgrading to Outlook (the email client in Office 2011, the current release as of this writing), give up fighting the good fight and go with Apple or go radical with Mozilla Thunderbird or some other B-list player.